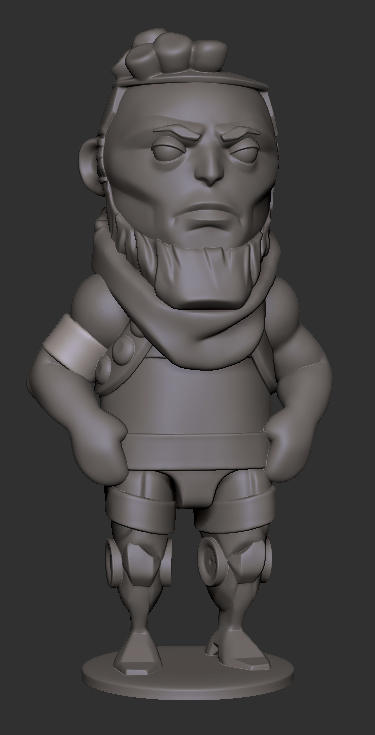 Shof's Working on a Super Cute Sculpt of Denarii! Yes, Funlola's been busy sculpting a bust of Sulesh, but Shof's been busy too! He's been working hard on a sculpt of his own, a super-cute 3D model of Denarii made in the 3D modeling program, Zbrush. The goal is to have this beauty physically printed (at around 2.5 inches high) by a 3D printer and made into a real thing that folks can get their hands on. Below are images that show Shof's progress with the sculpt, and his struggle to find a pose before eventually settling on one that I think looks pretty character appropriate. He's a baaaaad mutha...shut yo mouth! Still reading? Cool, here's a secret, Shof's also been busy working on a... more badass 7 inch sculpt, but that's an update for another week.